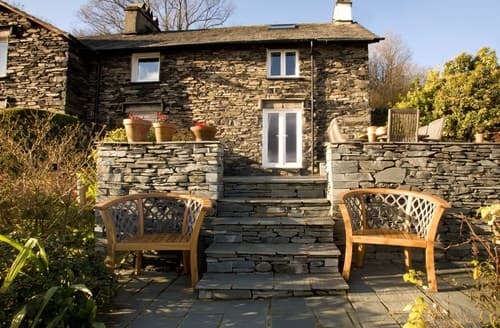 What our customers are saying about our Holiday Cottages In Coniston To Rent. 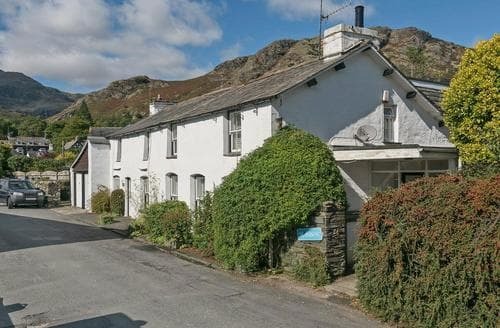 "Oh, this cottage is all I ever imagined a Lakeland retreat should be! 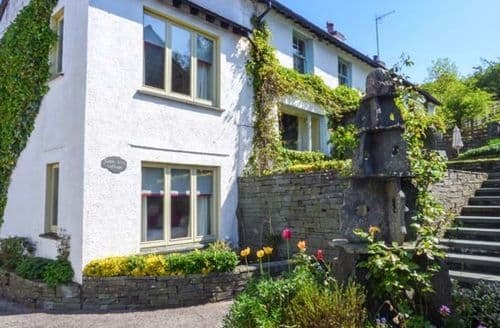 Situated in an elevated, scenic position, enveloped by the beauty of the surrounding fells, this cottage is chocolate box Lakeland. I felt I was living a little piece of Lakeland history. Even with the wind and rain, it still felt cosy and authentic. 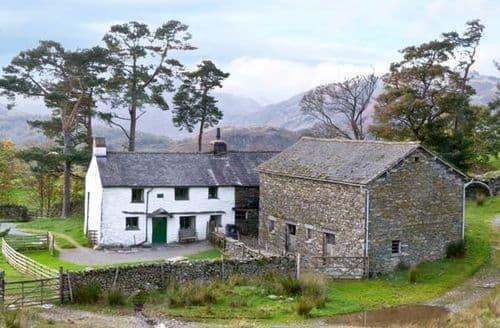 I could just sense, and perhaps catch a tiny glimpse of what life would have been like in bygone days on a solitary Lakeland farm. One early morning, I stepped out of the front door, which was to be ours for a few days, and there was the most stunning, captivating view. I could not believe it was real. I wanted to savour it, drink it in, and keep it forever. It was perfect peace. Just me, and the fells before me. I could really feel a personal empathy with the place. The uninterrupted quietness was therapeutic, invigorating and a tonic. 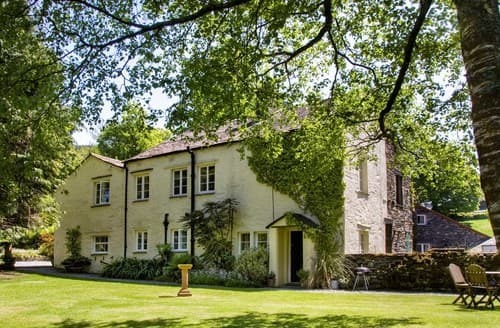 If I could move in, I would! If you want to experience the true essence of Lakeland, then this is it! 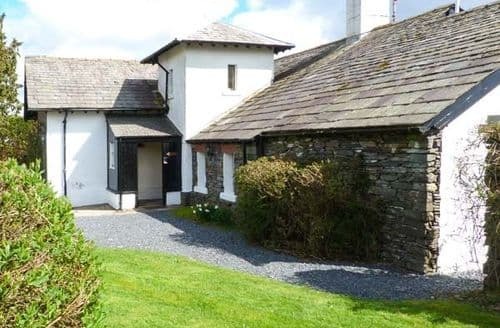 This cottage is set apart on its own, being detached, so it is rather like having your own farm for a few days! We could sometimes see the sheep gathering to be fed from the cottage window. There are walks in all directions from the front door and we did every one of them. If you are a keen walker, there is no need to use the car if you are well organised. We took ready/pre-cooked meals with us and a whole heap of food so we did not need to go to a shop. I really did not want this holiday to end. 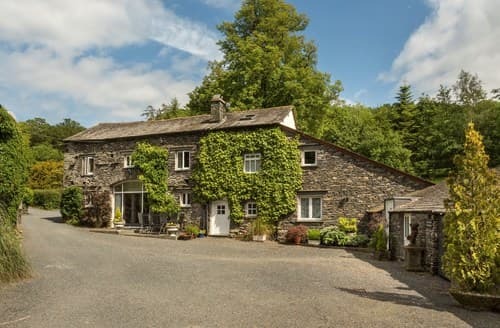 I have dreamed of living in a Lakeland farmhouse ever since. 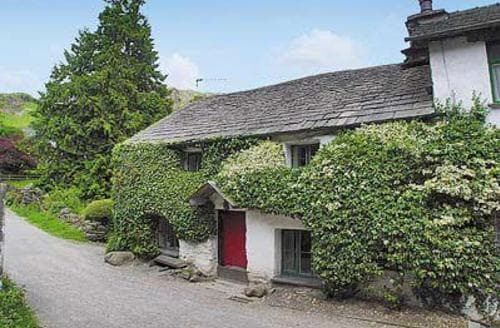 Perhaps one day my dream will come true........."
"Oh, this cottage is all I ever imagined a Lakeland retreat should be! 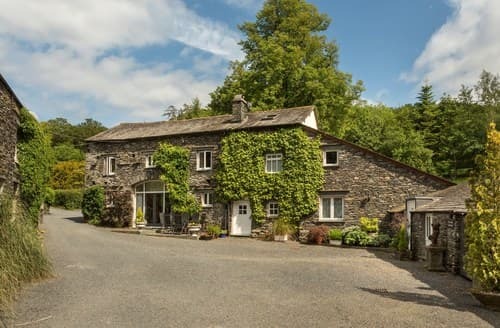 Situated in an elevated, scenic position, enveloped by the beauty of the surrounding fells, this cottage is chocolate box Lakeland. I felt I was living a little piece of Lakeland history. Even with the wind and rain, it still felt cosy and authentic. 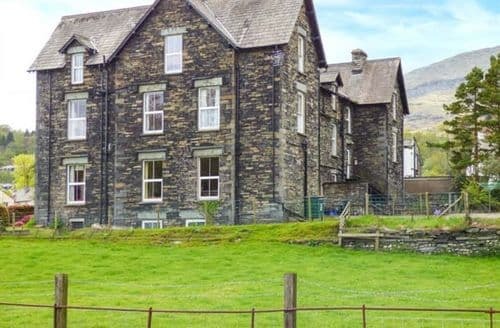 I could just sense, and perhaps catch a tiny glimpse of what life would have been like in bygone days on a solitary Lakeland farm. One early morning, I stepped out of the front door, which was to be ours for a few days, and there was the most stunning, captivating view. I could not believe it was real. I wanted to savour it, drink it in, and keep it forever. It was perfect peace. Just me, and the fells before me. I could really feel a personal empathy with the place. The uninterrupted quietness was therapeutic, invigorating and a tonic. 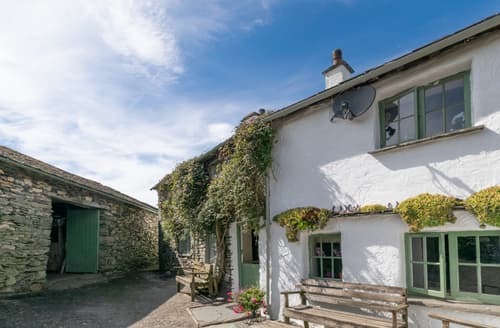 If I could move in, I would! 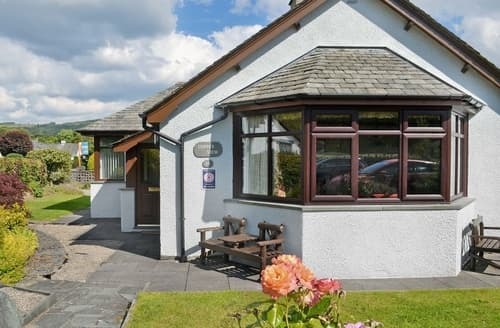 If you want to experience the true essence of Lakeland, then this is it! 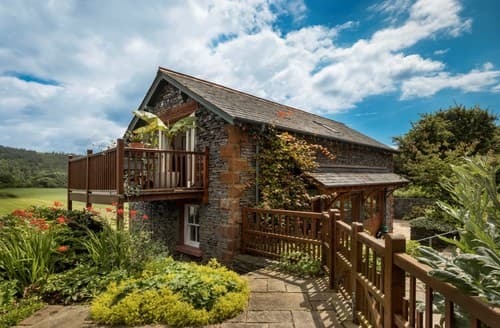 This cottage is set apart on its own, being detached, so it is rather like having your own farm for a few days! We could sometimes see the sheep gathering to be fed from the cottage window. There are walks in all directions from the front door and we did every one of them. If you are a keen walker, there is no need to use the car if you are well organised. We took ready/pre-cooked meals with us and a whole heap of food so we did not need to go to a shop. I really did not want this holiday to end. 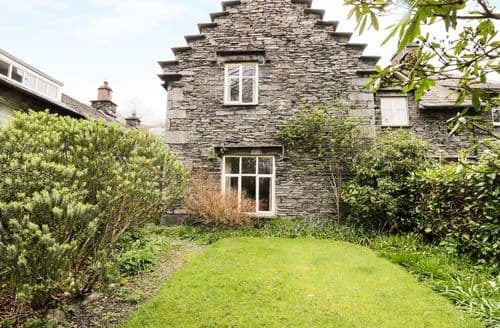 I have dreamed of living in a Lakeland farmhouse ever since. 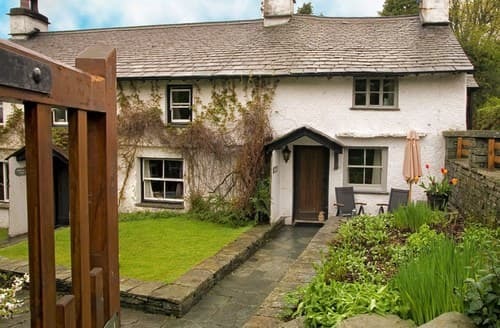 Perhaps one day my dream will come true..."
"This cottage is brilliantly located for walks straight from the door. Although a public footpath runs about 30 yards from the door we only saw other people at the weekend. During the week we felt like we had the whole fell to ourselves. 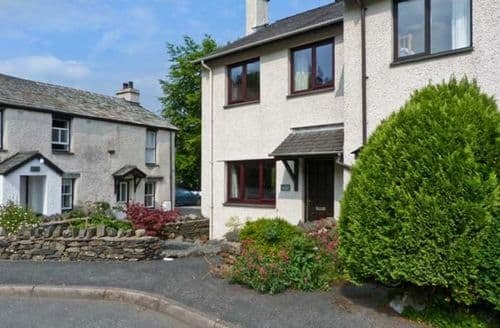 Hawkshead via Sunny Brow was only 1hr 20mins walk away (for provisions from the CO-OP!) and we came back via a beautifully frozen Tarn Hows. We walked to Ambleside via Loughrigg Fell and that only took 2 hrs. 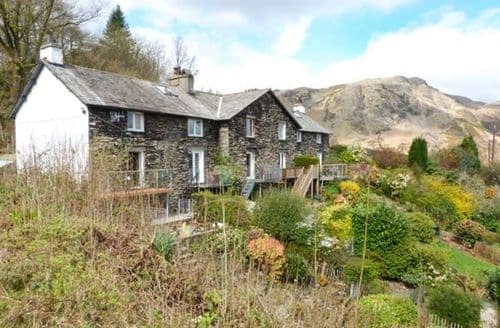 Plenty of other walks kept us occupied for the week including Black Crag which you can see from the cottage and gives wonderful views of it's much higher neighbours. 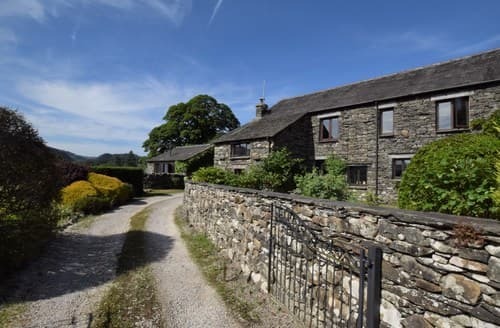 The cottage itself is a lovely lakeland building adjoining a barn - we had cows for neighbours. 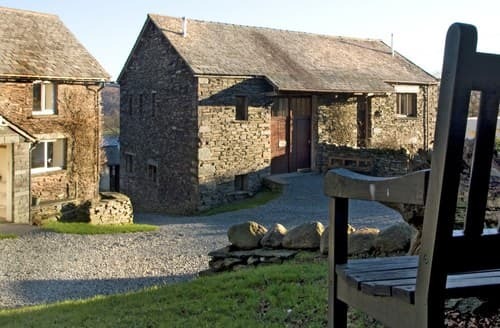 A seperate barn faces the cottage and this housed logs and coal for the log burner in the living room. 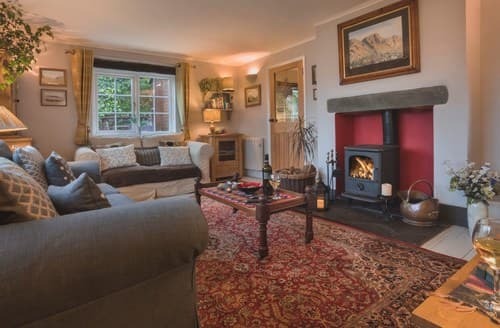 This is the cosiest room in the cottage. The rest is heated by storage heaters. 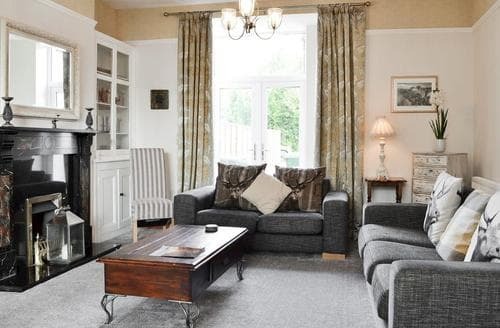 It did take a while for the rest of the house to lose its chill - the cottage had been empty the week before our visit so I think this impacted on our temperature. Jan very kindly had the fire lit for us when we arrived and Martin made sure we knew where the logs and coal were. 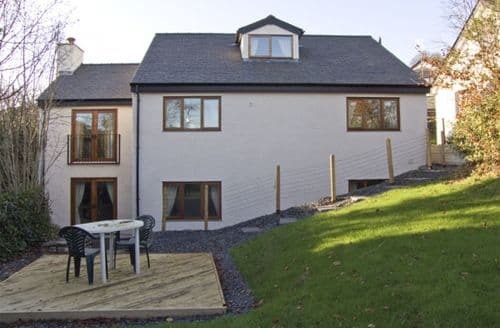 They were perfect landlords - available but not intrusive. We had a brilliant week finished off perfectly by a foot of snow for the day we left. 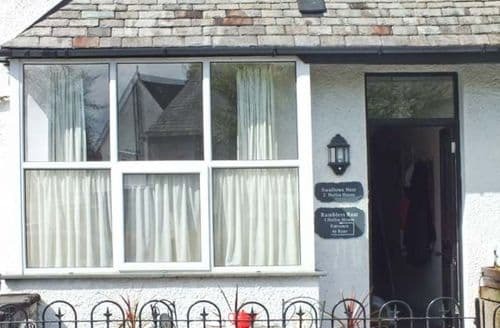 I would recommend this cottage to anyone who loves walking in Cumbria."